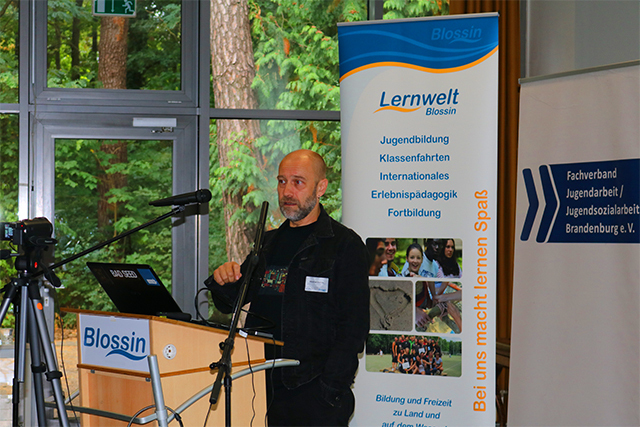 On September 13th the first Mulitplier Event of our Strategic Partnership “Providing Perspectives – Preventing Violence” was organised by our project partner Fachverband Jugendarbeit / Jugendsozialarbeit Brandenburg e.V. 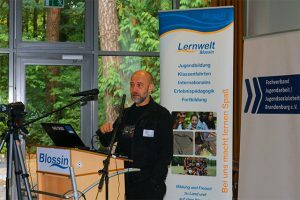 in Germany and it was the first time that Manfred Zentner, who is representing our partner from the academic field Donau-Universität Krems, shared our research results on experiences, attitudes and needs of youth workers in the context of dealing with extremism and radicalisation. We were very happy to discuss with youth workers from Germany on the actual potential of preventive services and hear their experinces. Learn more about the project here and watch the full speech in German (!) here – of course at a later stage our results will be made available in different forms also in English.